Bestselling author William Bernhardt discusses the latest news from the worlds of publishing and books, then interviews the amazing Genese Davis, author of thrillers (The Holder's Dominion), film-related books, games, podcasts, science fiction, and much more. 1) We lost William Goldman, screenplay writer and novelist, whose book Adventures in the Screen Trade changed the way many people viewed storytelling. Goldman said, "Writing is structure," and always ... See More emphasized the importance of laying out the essential elements to compose a spellbinding story. 2) Wattpad is huge and expanding into film adaptions based upon Wattpad stories. This webpage has been used by many authors to post their work, to get feedback on drafts, and to increase their visibility, which in some cases has led to deals in traditional publishing and film/tv adaptations. 3) Draft2Digital has partnered with Findaway Voices to give independent authors a new avenue for producing and distributing audiobooks. Digital audiobooks are the fastest-growing segment of the current book market. In the interview, Genese Davis discusses writing, the importance of maintaining focus, and marketing approaches that lead to sales and success. She also talks about the importance of speaking the truth, of emotional honesty, both in the promotion of your books and the books themselves. Davis has appeared on more than 500 convention panels in the last five years, which gives her enormous insight into what's happening in today's publishing world. 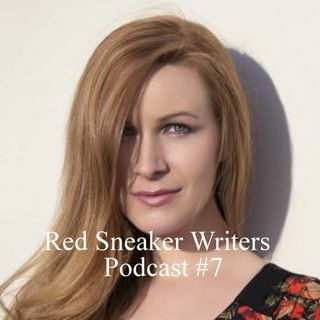 WriterCon 2019, the annual writers convention co-sponsored by the Red Sneaker Writers Center: www.writercon.org.